Denitration of nitric acid uranium solutions under the action of UHF radiation in ambient and reducing atmosphere in the presence of organic reductants containing amino groups (carbohydrazide, acetohydroxamic acid, aminoacetic acid, hydrazine nitrate) and without them to obtain a mixture of uranium oxides was studied. 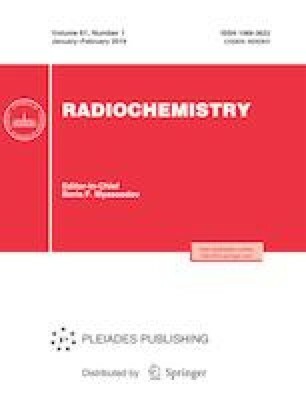 The conditions of thermal transformation of the initially formed mixture of uranium oxides into uranium dioxide powder under the action of UHF radiation were determined. The characteristics of UO2 powders meet the requirements of TU (Technical Specification) 95414–2005 to ceramic-grade powders.